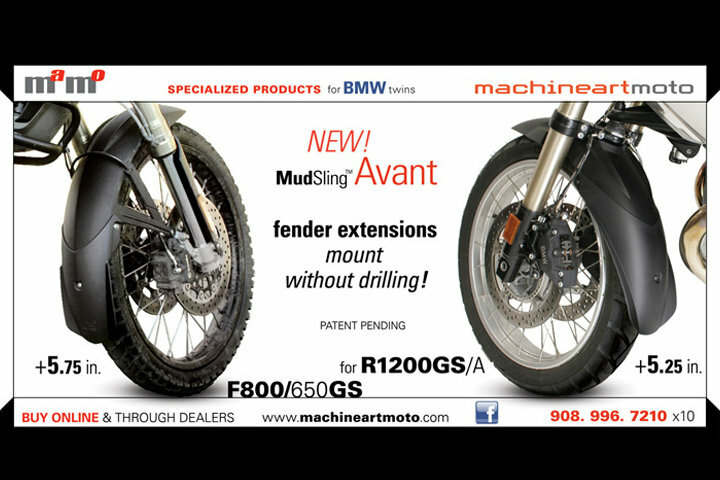 I am pleased to announce two new items in the Machineart Moto line of Specialized Products for BMW twins – the MudSling AVANT – a patent pending front fender extension for both the BMW R1200GS and F800/650GS twins. AVANTs are unique in that they mount without the need to drill holes in the fender, unlike other fender extensions. 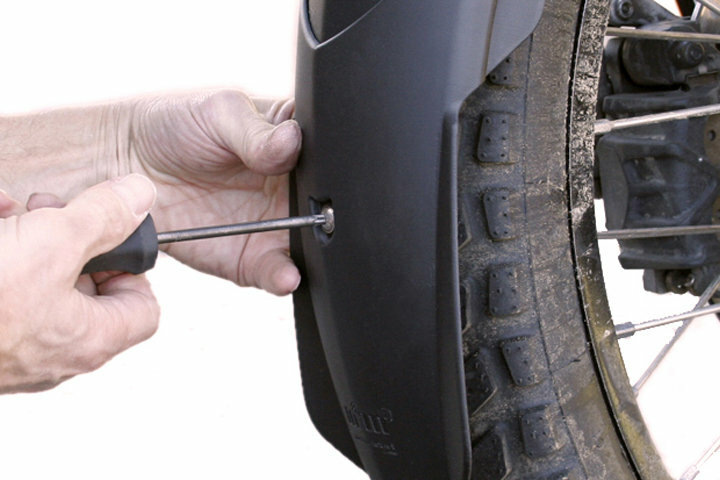 Not only are they simpler to install, they look beautifully integrated with the stock fender and are transferable to another bike without leaving disfiguring holes behind, a benefit for resale value. Both models are shaped with characteristic flared wings that widen the splash coverage area without looking wide. The surface finish beautifully matches the stock BMW fenders. The AVANTs complete the MudSling line that popularized products for rear suspension protection from mud, water, tar, and rocks thrust at it by the rear tire. Now we have a solution for both ends of the bikes. AVANTs are Injection molded in resilient polypropylene and AVANTs install with three special clamps secured with T25 Torx head screws. 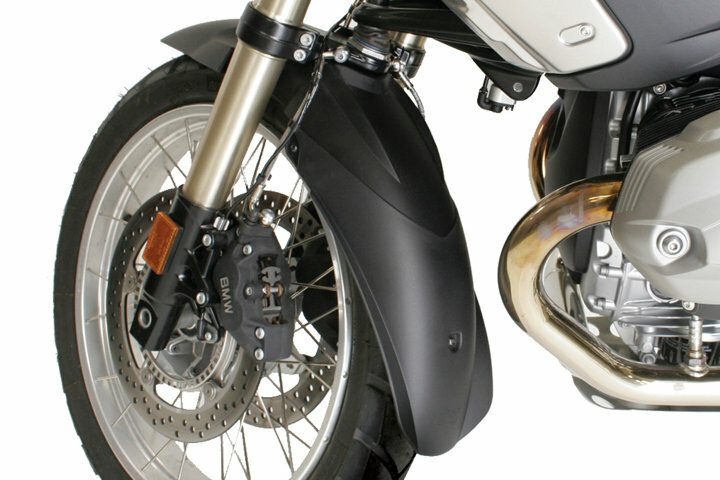 AV-12 for the R1200GS adds 5.25″ of extra length, and AV-8/6 adds 5.75″.